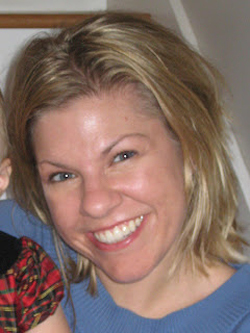 Please say a big hello to Jocelyn Olson from Red Balloon Cards! If you aren't familiar with her work, here is a little about her! I’m a wife, mom of two great kids, avid papercrafter, bright color lover, non-fiction book reader, Brady Bunch fan, and expert Polly Pockets dresser. In my spare time, I work as a consultant for states on Federal education and special education programs. Currently, I’m on the Glitz Design, Paper Smooches Stamps, and the Scraptastic Club design teams, and I’ve been fortunate enough to be published in Paper Crafts & Scrapbooking and CARDS magazines. I am primarily a card maker, although I love making all kinds of projects, both traditional and hybrid. You can see my projects on my blog at Red Balloon Cards. 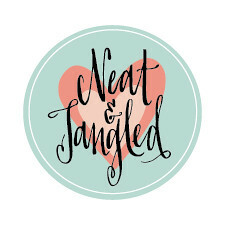 I’m excited to be joining the Neat and Tangled team! Love your work, Jocelyn! 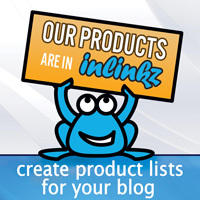 And I'm definitely looking forward to seeing what you do with the N&T adorable products! Yay, Jocelyn! LOVE your style! YEAH!!!! So excited to see more of your work :) love YOU AND your style!